Automap is a proud sponsor of the 2018 Automotive Logistics Global Conference in Detroit, September 18th – 20th. 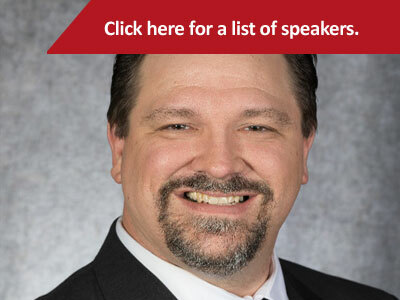 Our own Mark Sargeant will also be speaking on Wednesday, September 19th in session 3A at 2:00pm. Vehicle logistics often rely on humans to visually confirm each vehicle is on the correct transport or in the correct load lane, whether that be at gate release or at the OEM or logistics service providers compound. But what if each vehicle actively and wirelessly projected its VIN directly from its own computer? AutoMap enables this by securely verifying the VIN directly from the OBD port and constantly projecting a one-way encrypted summary of each vehicle’s VIN, Engine Codes, battery level, fuel level, and more. AutoMap has created a vehicle tracking system that provides continuous information to ensure accuracy, create efficiency, and simplify your logistics. With no infrastructure required the initial set up and use of the AutoMap system becomes a very simple process. Vehicles equipped with the AutoMap module (a 10 second process) can immediately be tracked. Simplicity is the key for the AutoMap system. By combining the most information with simple, easy to use technology, AutoMap helps bring vehicle logistics into the digital age. How valuable would it be to know the identity of every moving asset directly from each vehicle’s computer? AutoMap captures vehicle info without any need for human entry and wirelessly relays this continuously, whether the vehicle is on or off. This method is so effective we have even helped identify vehicles customers did not know they still owned. The AutoMap team has over a decade of automotive tracking experience with a variety of technologies. Let us show you the future of automated automotive logistics.